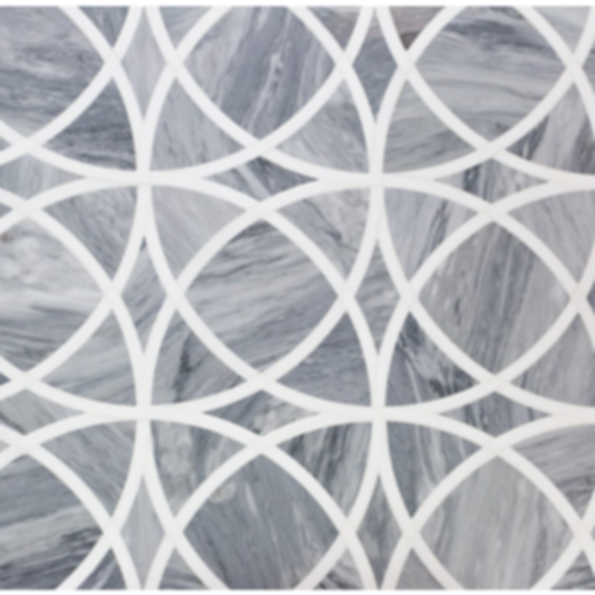 Crafted with detailed waterjet precision, our new Celtic Series finds ribbons of milky White Thassos combined with Bardiglio stone to form this eclectic pattern that will cater to a multitude of tastes. This luxurious selection is guaranteed to be a timeless addition to your home for many years to come, and will surely make you the envy of many a houseguest or family member that has the pleasure of being in the presence of your immaculate taste in tile. Sheet Size: 9" x 9"